Children and their parents across Essex are being urged to take extra care when travelling to school this September due to a seasonal increase in road traffic injuries to children at this time of the year. There are more injuries to pedestrians and cyclists aged 5-16 during September than in any other month of the year. In September 2015 30% of all serious injuries to pedestrians and cyclists aged 5-16 occurred within that one month. Most of these injuries are received on journeys to and from school, many involving children who may be new to travelling unsupervised. Children in year 7 make up the biggest proportion of those injured, this is often the age when children first travel to school unaccompanied by their parents. Collisions occur for a variety of reasons, with mistakes made by both children and drivers. However the most common type of collision involves children attempting to cross the road without looking properly, often from a masked location (such as between two parked cars or behind a bus). The Safer Essex Roads Partnership urges drivers to leave an extra margin for error to allow for the unexpected appearance of a child in the road. 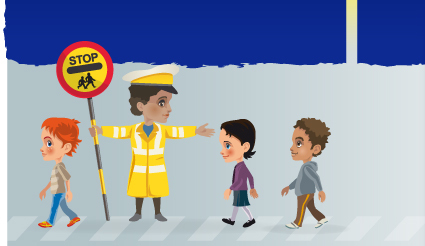 The SERP also encourages parents and teachers to talk to children about crossing the road safely, thinking about what kind of distractions children need to avoid, and the potential consequences if they try to cross without looking properly.